Over the weekend, Chad Kerley placed second at the Brian Kachinsky designed Munich Mash contest in Germany. Chock full of ledges and rails, Chad was edged out by Alex Kennedy for top spot by just two tenths of a point. The contest is part of a three day festival featuring BMX, mountain biking and motocross contests. 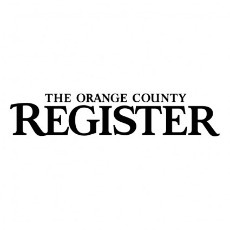 The Orange County Register, the largest independent newspaper serving Orange County, voted Tia Blanco the “Rising Star Surfer of the Year” in today’s issue. Every year the paper nominates the best surfers of the year in a variety of categories. We are so proud of Tia and all her accomplishments this year. She will be presented with an official plaque during the US Open in Huntington Beach in a couple of weeks. RPRT is excited to announce the newest sponsor to come on board for Tia Blanco, Raen Optics. Lifestyle brand Raen has created a category of eyewear that encompasses everything that Tia is about – beach life, fashion, happiness and quality. Tia will be working closely with the brand and their creative agency, Libre Design, to be a face for their new and growing women’s collection. Tia is stoked at the opportunity to work with the brand and will be joining the likes of surfs trendsetters Danny Fuller, Alex Knost, Kassia Meador and others. Roberta Mancino will be the face of an awesome new technology out of Singapore called EyeFly3D, created by Nanoveu. EyeFly3D is a thin film that turns your iPhone, iPad or iPod into a 3D viewer of images and video without having to use 3D glasses. 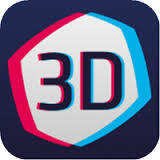 The patented technology also includes an app that allows users to turn their own 2D images and video into 3D content. Keegan Palmer, though known for his skate prowess, has been turning heads with his surfing lately as well. Keegan, knee deep in killer sponsors, just added FCS and Gorilla Grip to the list of companies supporting him. Keegan also surfs for Stacey Surfboards, Hurley and Oakley and will be training at the Hurley Performance Center for Surfing this year. 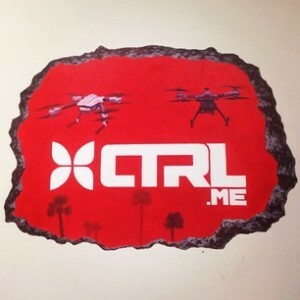 RPRT and Jeb Corliss have entered into an agreement with Venice Beach based drone company Ctrl.Me to help them generate more business in the film, tv and action sports markets. Ctrl.Me owns and operates a facility that makes custom drones for all camera set ups, retails drones and has a drone workshop in Venice, CA. Their camera operators are trained to film on GoPro, Red, Phantom or any other camera set up used in film and television. Jeb, with his extensive knowledge of filming and interest in drone filming, will be consulting with the company to bring them jobs within the human flight sector. RPRT will seek opportunities within action sports, film and TV. You are currently browsing the rprt: talent management, pr/marketing, events and branding blog archives for July, 2014.